We often view many of the ethnic-Irish ‘green flag’ units of the American Civil War as being completely dominated by Irish-born or Irish-American soldiers. While this was true to varying degrees, all of them also had a proportion of men with no connection to the Emerald Isle. This was particularly the case in the later war years, when new conscripts could be assigned to formations with which they had no specific connection. 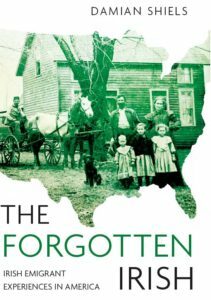 Some of these men who fought shoulder-to-shoulder with Irish emigrants on the battlefields of the American Civil War were not even native English speakers. In this post we explore the stories of three of them, all of whom lost their lives– along with many of their Irish comrades– as a result of the severe fighting in the summer of 1864. Joseph Godfroid Bazin was a native French speaker from Pierreville Mills in Yamaska County, Canada. He was one of five children of Antoine Bazin and Catherine Crevier. When his father died in 1859, Joseph took it upon himself to care for his mother, giving up his portion of his inheritance for her benefit. Taking the lead among his siblings, between June 1859 and March 1864 he had given his mother over $600 in financial aid. Joseph supported her by working as a tradesman, but according to one family friend he struggled to find sufficient business in the 1860s, and decided to leave Canada to join the Union army “to more effectually support his mother.” Travelling south, the 26-year-old enrolled on 23rd March 1864 and was assigned to serve with the Irishmen of the 28th Massachusetts, in the Irish Brigade. 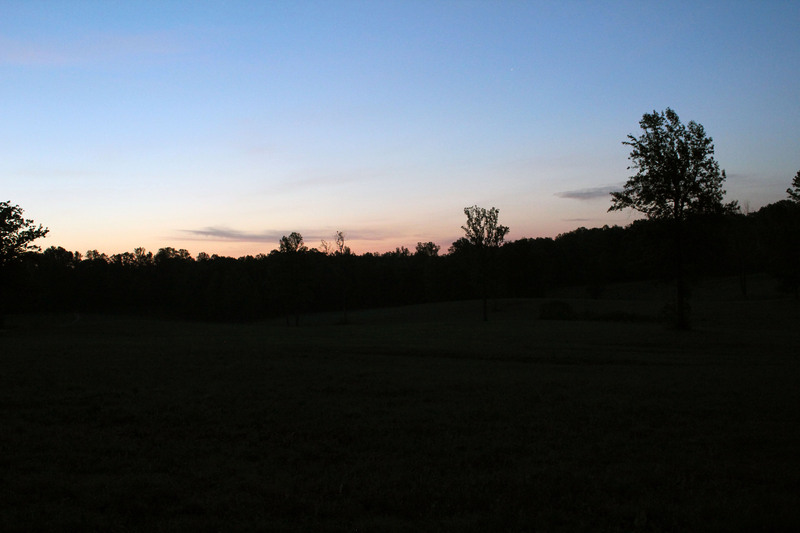 Within weeks he was marching onto his first– and last– battlefield. The Québécois was severely wounded in the fighting at The Wilderness on 5th May. Amid these awful circumstances, it was fortunate for Joseph’s mother that the Irish Brigade had another French-Canadian present, Father Thomas Willett, Chaplain of the 69th New York. He wrote to her in their native French, translated below. Having been informed that you desire to receive some news of your son, Jos. Godfrey Bazine, of Co. I, 28th Reg’t Mass., I will endeavor to give you such intelligence as has come to my knowledge. He was wounded, on the 5th of May, in the leg, I am convinced, quite badly. The doctors were several times on the point of making an amputation but they did not dare to do so, believing that he was too feeble to bear it. He was confessed and received the extreme unction at my hands. Two days after he was transported to Fredericksburg, I believe. I do not know what became of him thereafter. I cannot but believe that he died. He begged me to say to you, that he always loved you, and that you should have this for a voucher that he was in the American army. May the good God give you the consolation, in your affliction, that, if he is dead, he is not lost to you forever, but that you will be reunited in another world, never to he separated from him. Chaplain to the 69th N.Y. The 17th Wisconsin Infantry are regarded as the most Irish of Wisconsin’s regiments, with a distinct Irish character. But among the rank and file of the unit there were also members of Wisconsin’s Native-American community. During the Civil War an estimated 500-600 Native Americans entered Union service in Wisconsin, all the more remarkable given the majority of them did not have citizen status. 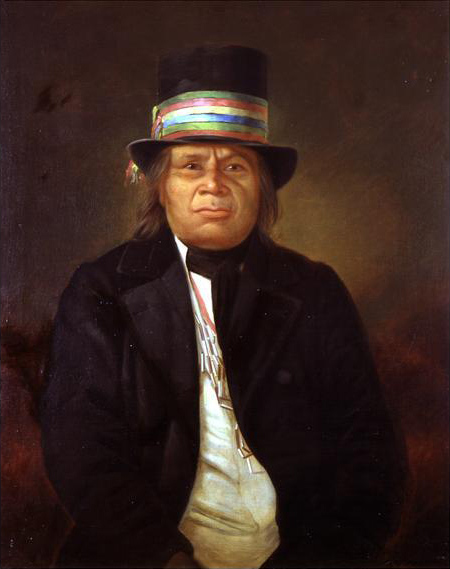 One of them was Joseph Wah-Pah-No of the Menominee or Mamaceqtaw tribe. 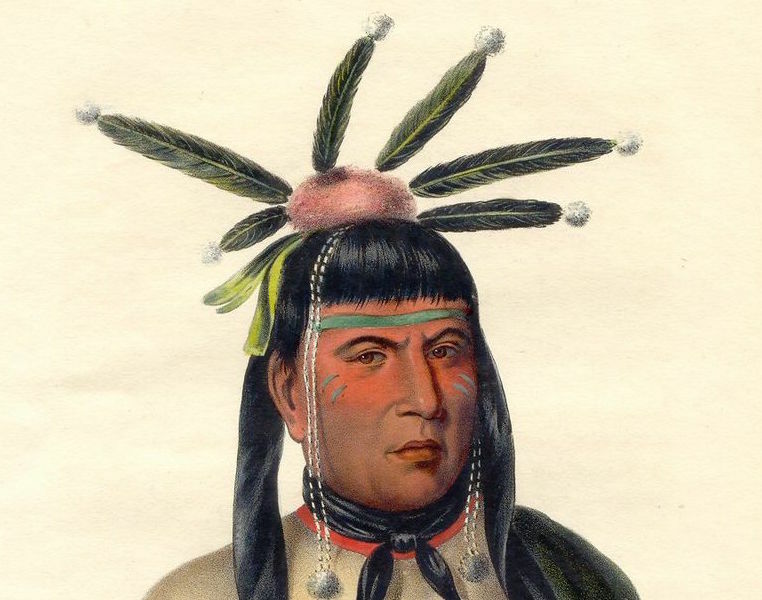 Joseph and his mother Wah-Pah-No-Kiew lived in Shawano, Keshena County, Wisconsin. His father, Wah-Pah-No, had died in 1861, and Joseph had afterwards done his best to assist his mother. On the 20th December 1863 he enrolled in the army and was mustered into Company K of the 17th Wisconsin. The following year he was on the line at Kennesaw Mountain in Georgia when he was shot and killed on 25th June 1864. When Joseph’s mother sought her pension entitlements from the Government, her property “consisted in the individual interest of the common property of the Menominee Tribe of Indians“. She relied on deponents such as William Powell, who had acted as an interpreter for the Menominee for ten years, and Joseph Gauthier, a trader to the Menominee in Keshina to give statements on her behalf and help her secure her entitlements. The stories of these three men are just a handful of those relating to non-Irish affiliated soldiers who served in ostensibly ‘Irish’ units. Their presence, particularly as non-native English speakers, raises many interesting questions– how did they view their Irish comrades, and how did those Irish comrades view them? Did they suffer any discrimination from their fellow soldiers because of their origins? Did any of them establish an affinity with the Irishmen with whom they fought? Their stories also demonstrate that the history of these Irish regiments is a much broader and more complex one than just that of Irish emigrants. Widow’s Certificate 99534 of Catharine Crevier, Mother of Joseph Godfriod Bazin, Company I, 28th Massachusetts Volunteer Infantry. Widow’s Certificate 129308 of Fredericka Bordney, Widow of Franz Bordney, Company B, 182nd New York Volunteer Infantry. Widow’s Certificate 121855 of Wah-Pah-No-Kiew, Mother of Joseph Wah-Pah-No, Company K, 17th Wisconsin Volunteer Infantry. Wisconsin Veterans Museum/Wisconsin Department of Veteran Affairs 2016. Wisconsin Blue Book: Wisconsin in the Civil War. There were a couple of “Yankees”and a couple of French Canadians in John Lonergan’s Co. A 13th Vermont. I assume they enlisted with eyes wide open. Ironically, the man who wrote the article on the “Emmett Guards” in the Regimental History was one of these Yankees and didnt have much contact geographically and perhaps socially with his fellow comrades and a lot of the Irish perspective was lost. One bit of “lore” that came down involved my ggrandfather John Patten of County Tyrone. Supposedly he was slated to be decorated after Gettysburg,when he got into a fight with one of the Quebecois who declared that Co. A would have been a pretty good outfit if there weren’t so many Irishmen. With the Company about to muster out, they cancelled the brig time and cancelled the medal and called it even. 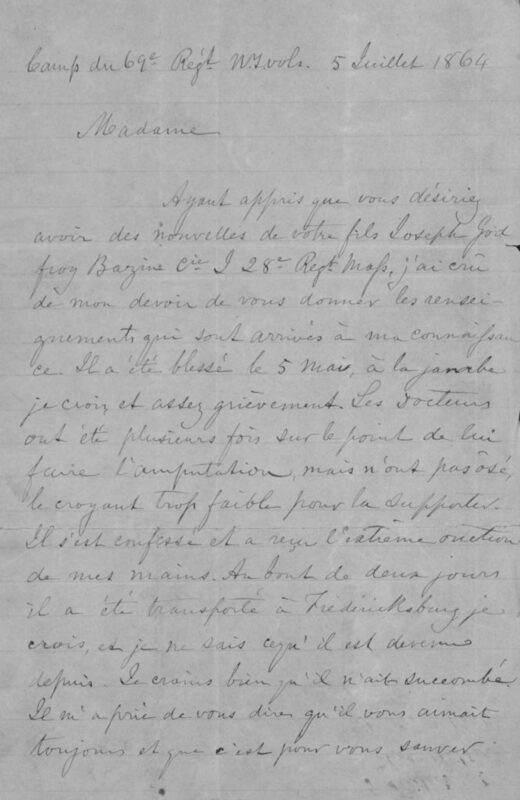 The big surprise to me was that Quebecois from Quebec would have enlisted in the Union army. And the fact that 500-600 Native Americans would have enlisted from Wisconsin was a bit of a shocker, especially as they had not even been given citizenship status. How much was the pay. Was there an upfront payment for enlisting? And what was the on-going salary? per month or annual payment? Apologies I missed this at the time. I would say finance had a major role to play- also potentially the prospect of having been seen to serve the Union. It is fascinating that they served in such numbers. 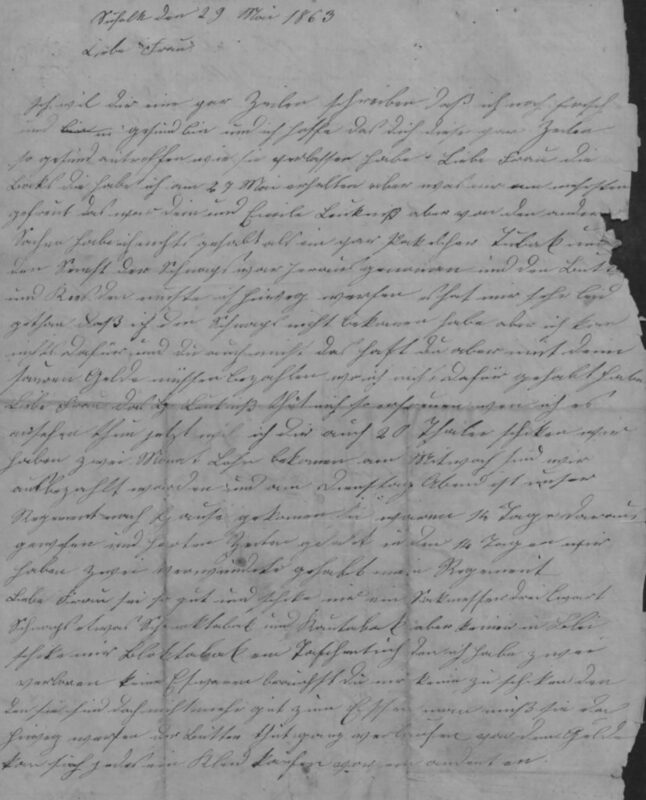 Looking at the letter posted, it looks like it is dated Suf[f]olk, May 29, 1863, Liebe Frau (Dear Lady), I want to write a few lines, then I get bogged down in the handwriting. Was this regiment in Suffolk, Virginia, at this time, I wonder?